When most people think of America, they see bad politics, greasy food, and lots of unique cultures. However, for nature lovers, America is a treasure trove of sights to see and landscapes to experience. So, without further ado, here are 4 must-visit states for nature lovers. From beachy, breezy seashores, to expansive mountain ranges, North Carolina has all of the climates in one convenient state. You can head to the east to jump the waves of the Atlantic Ocean, or go west to hike parts of the Appalachian Trail. The Blue Ridge Parkway is another must-see, as drivers can cruise the curvy mountain roads that are lined with towering trees. This is an especially beautiful sight in the autumn when the leaves change colors. Plus, for week-long travelers, there are a number of luxury vacation homes to occupy while you rest from your whirlwind adventures. Home to Glacier National Park, Montana is a gorgeous state of blue lakes, wide-open valleys, and cowboy stories. There are some places where you can walk in fields of wildflowers, or explore the remains of old farmhouses. Or, you can venture into town for local farmer’s markets, where strawberries and fresh produce are always available for a taste-before-you-buy. Montana locals love the landscapes in springtime, when flowers and wild animals spread through the hillsides. When most people think of Alaskan landscapes, they think snow, ice, and tons of freezing weather. However, this state is more than the cold that graces the northern portions. There are vast mountain ranges, deep green valleys, and blue skies as far as you can see. Clear ponds are bluer than anything you’ve ever seen, while gigantic trees make up dense forests, filled with wildlife. Nature trails dot Alaska, so nature lovers are never without something to do. Catch the stunning sights of the Aurora Borealis at nighttime. Classic, beachy, and viewed as exotic, Hawaii is a gorgeous place of palm trees, ginormous flowers, and pure white sands. The sunsets are to die for with a backdrop of crystalline oceans and distant islands. There are LOTS of parks in Hawaii, so nature lovers can revel in the different sceneries. Hawaii Volcanoes National Park is a must-see favorite, where you can hike alongside dormant volcanoes, collect ashen volcanic rocks, and watch the waves lap at the island shores. 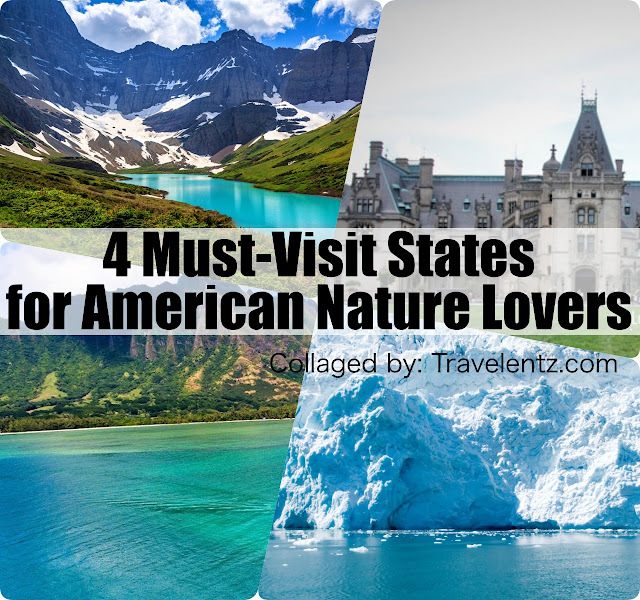 When you love nature, the aforementioned American states are must-sees. Their landscapes are gorgeous with a flourish. And these sceneries often change with the seasons.